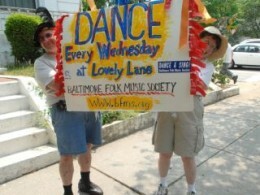 The Baltimore Folk Music Society presents American Contra and Square Dancing at 8:00 p.m. to 10:30 PM every Wednesday at Lovely Lane United Methodist Church, 2200 St. Paul Street, Baltimore, MD 21218. Admission is $9 for members, $13 for nonmembers. Under 21 and full-time students with IDs: $4 members, $6 non-members. 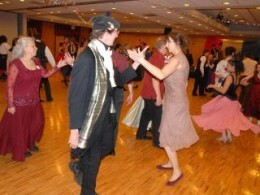 All dances are taught and walked through beforehand. 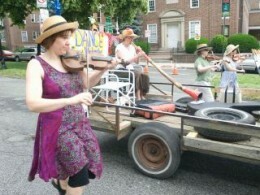 Music and dance styles include New England, Southern Appalachian, and Celtic styles. 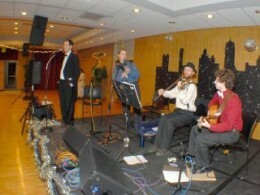 Nationally-known musicians and callers appear regularly. 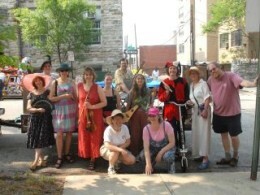 These dances are sponsored in part by a grant from the Maryland State Arts Council. 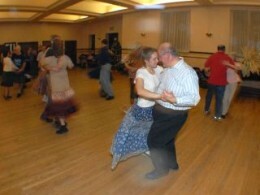 Free workshops introducing basic contra dance figures take place every Wednesday at 7:30p.m. Beginners are encouraged to attend. 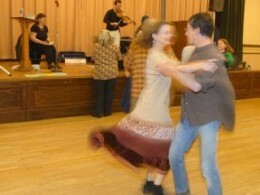 Contra dance FAQs. For more information call the BFMS hotline at 888-646-BFMS or email amdance at bfms.org. Check our Facebook group for the latest information.